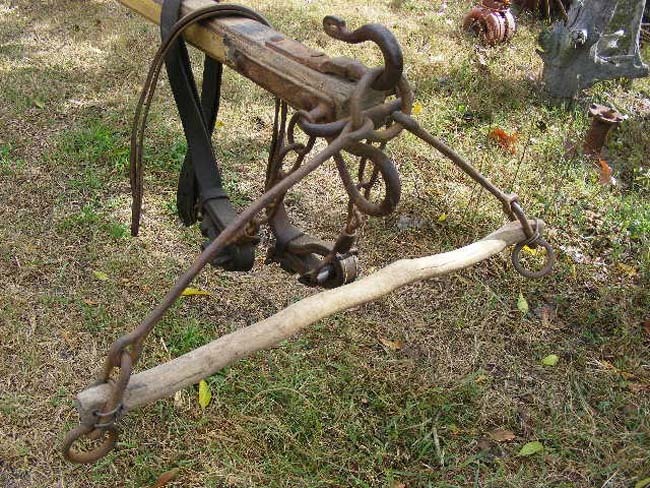 They are given many different names-also whipple trees, whifflebars, swindlebars, etc, but they all serve the same purpose-to connect the horse's traces to the rest of the load being drawn. 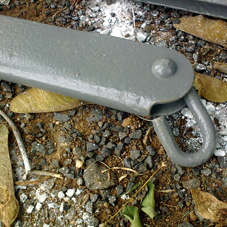 Here is a small sample of some styles and their common uses. 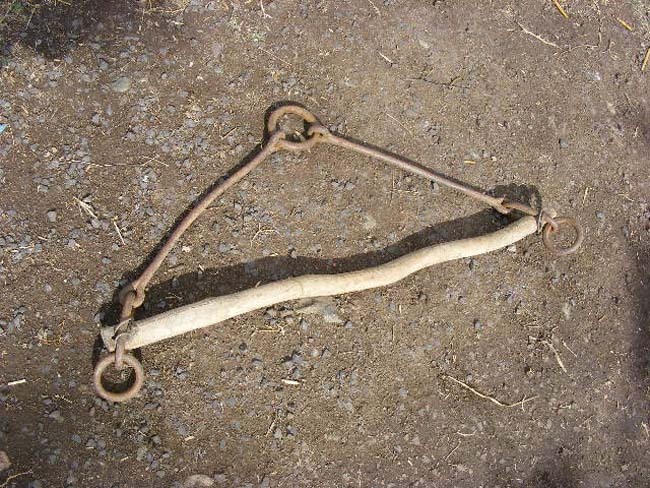 This is another 'vehicle' type of original swinglebar- without the ram's horn hooks of the first type. 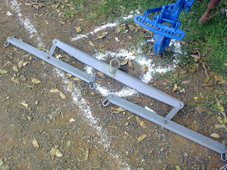 For these, the traces need to have hooks at the back end. 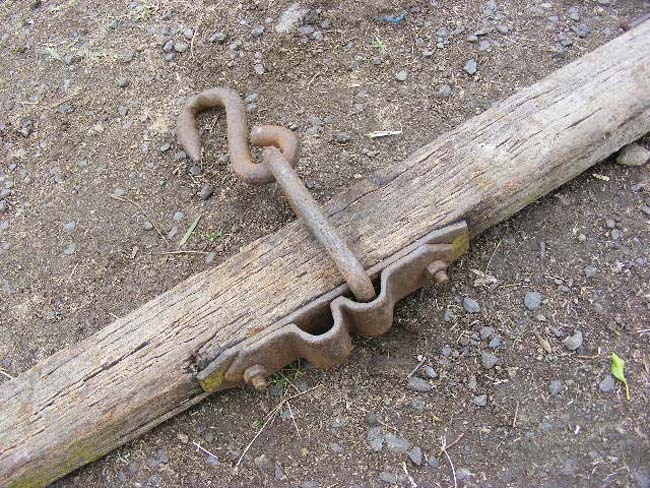 This is a very common 'farm' style of old swinglebar. 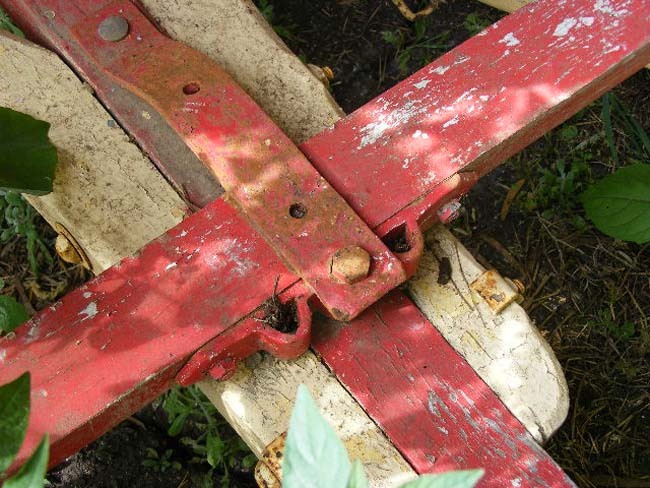 Sunshine farm implements made them by the thousands, as could any blacksmith. 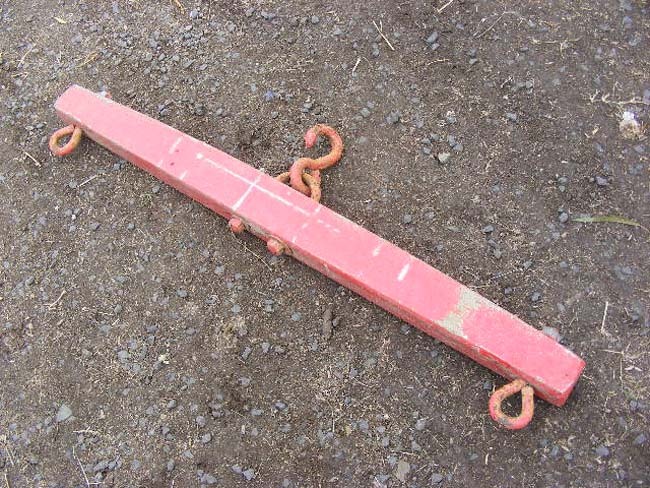 These are generally 36" long (90cm) and made from a 4"x2" cut down a bit (100x50mm). 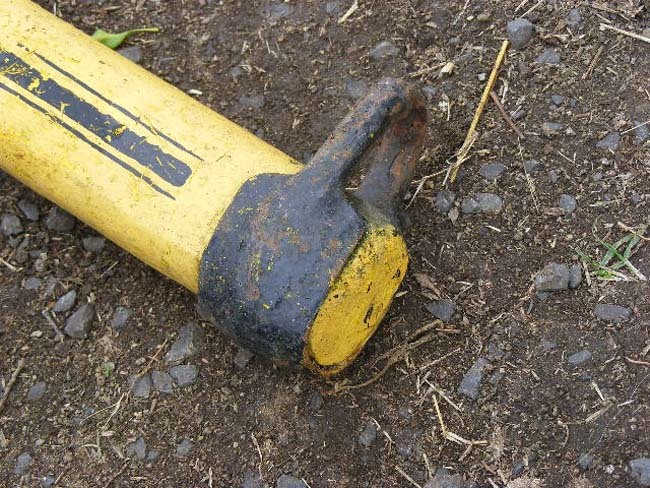 They are not really suitable for vehicles as the 'flop' about. 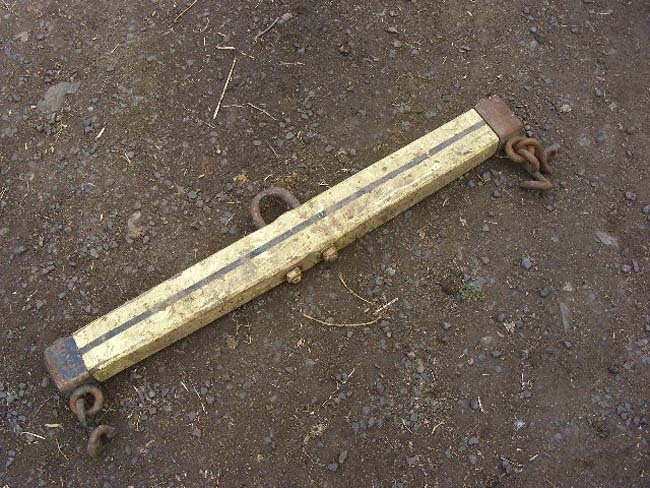 This is a 'farm' type of double-bar or evener bar, 42" long, but with an ajdustable centre link- so that two horses of different capacities can be used together- the newer, younger or lesser-experienced one being given the advantage with an unequal set in the centre. 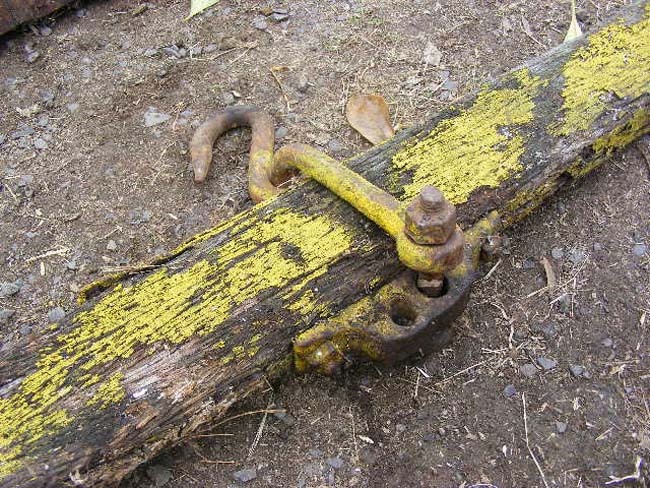 This is a more modern home-made bar with eyes which would benefit by being welded up. 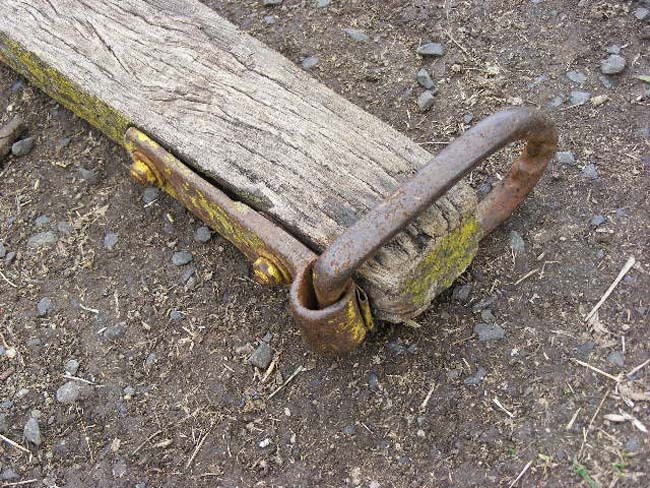 It's most suitable for a vehicle like a waggon of some sort. 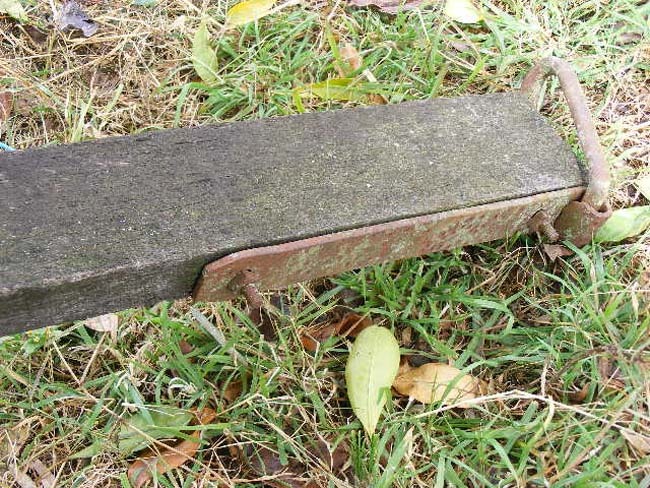 These farm bars with their cast ends were made and supplied by McCormick-Deering, and were mostly found on wheeled implements like mowers, two-horse cultivators and planters, etc. 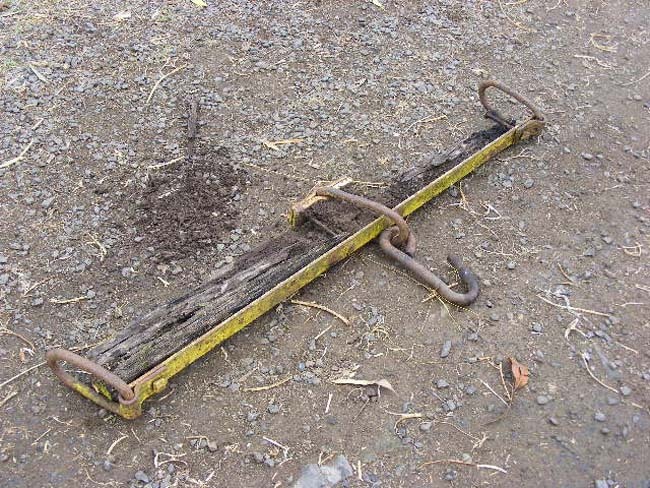 This 2-horse set is part of a 3-horse set for a reaper & binder. 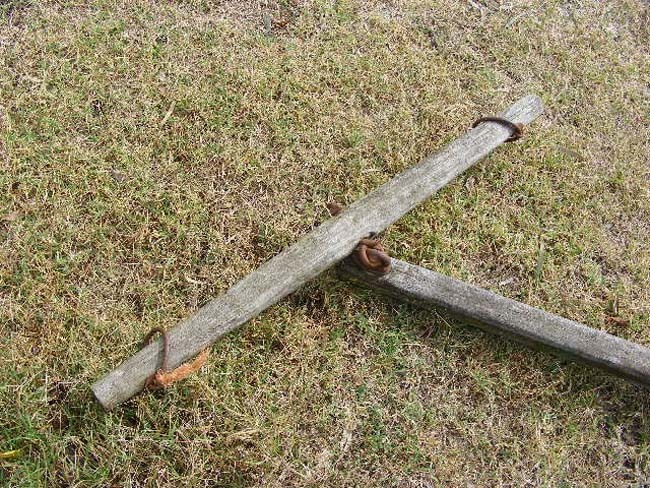 These single horse bars are 30" long (75cm), but some can be found 28" and some 32" long. 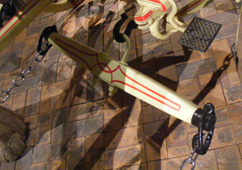 On the left is the complete 2-horse set of swinglebars with the double-bar. 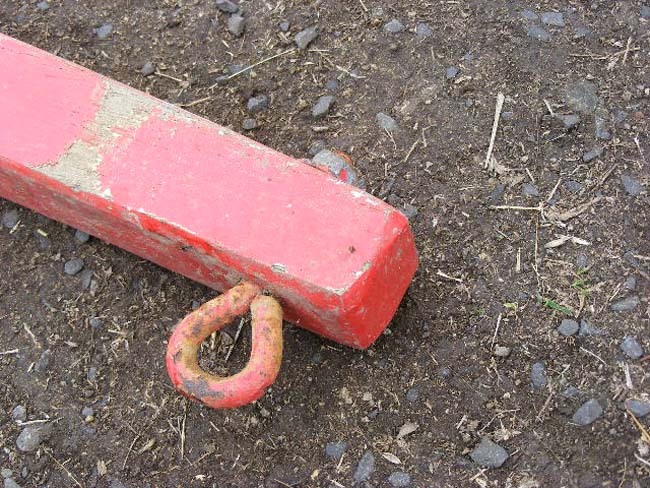 On the right is what is known as a calamity. 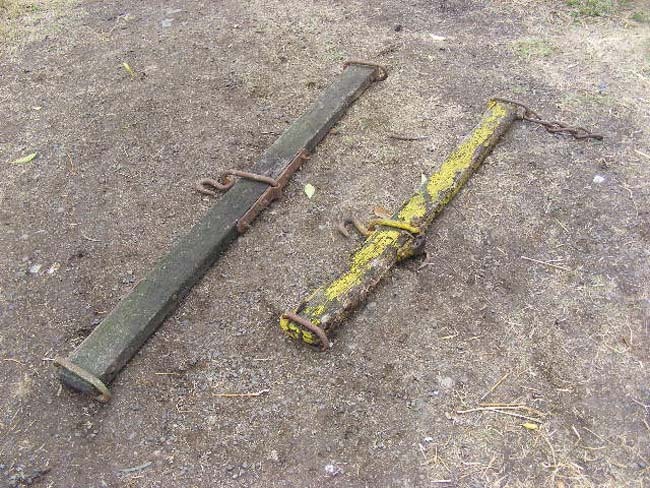 On the left is a standard 4-horse bar, which would have a double-bar on each end, then 4 single horse bars. 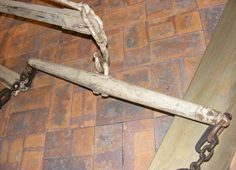 Beside it is a standard 3-horse bar showing the chain on the single-horse side. 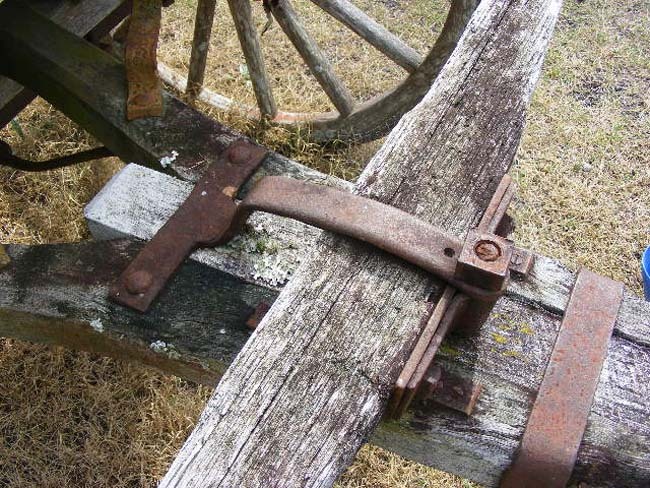 On the right is a close-up of the 3-horse bar showing it is also adjustable, to be able to give the single horse an advantage if needed. 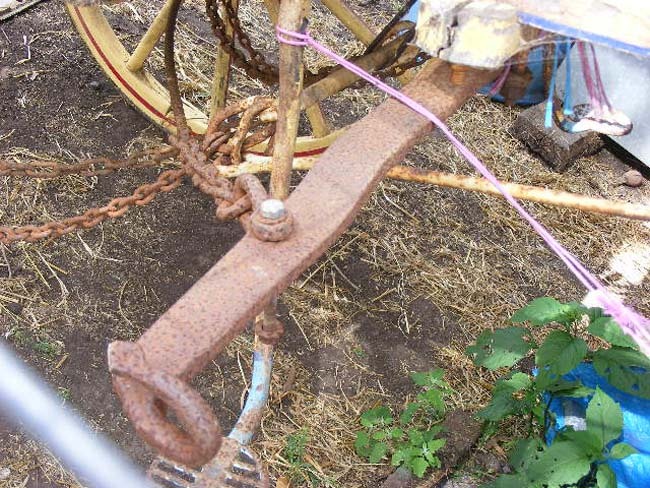 This is a 'backed' farm four-horse bar, with steel strapping fully along the back. 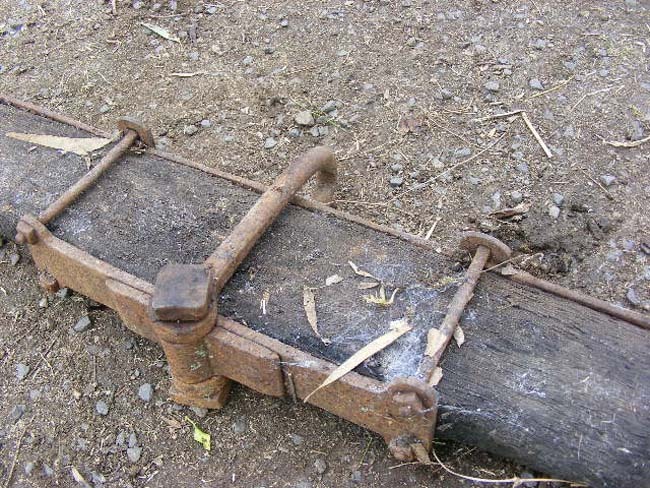 This was usually done for the bars when used behind a team of eight working in pulley-block traces, with four in front and four behind. 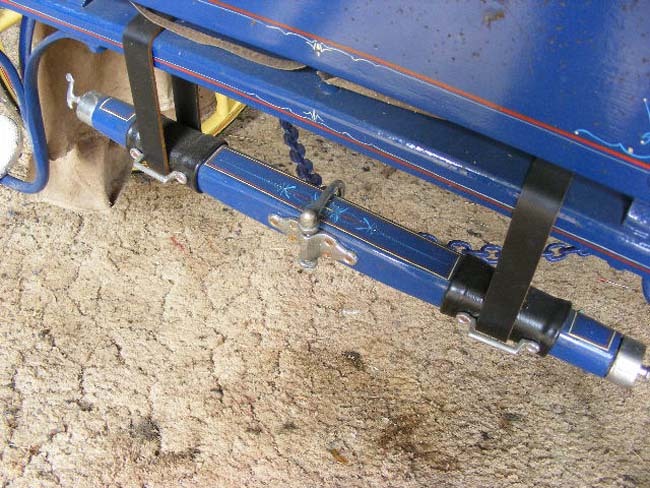 Left, is the back end of the standard 4-horse bar. 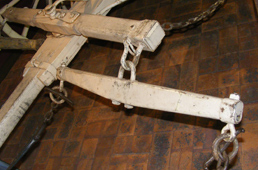 At right is a standard single horse bar, with the full steel backing, also most commonly used with a team using pulley-block traces. 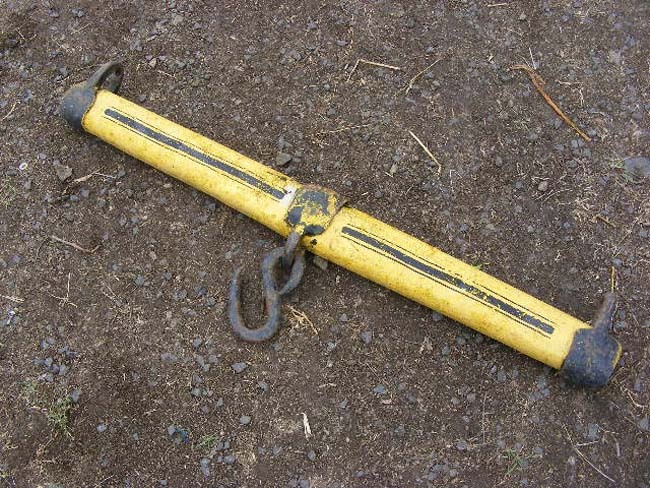 This is a "Cobb & Co" original centre lead horse swinglebar. 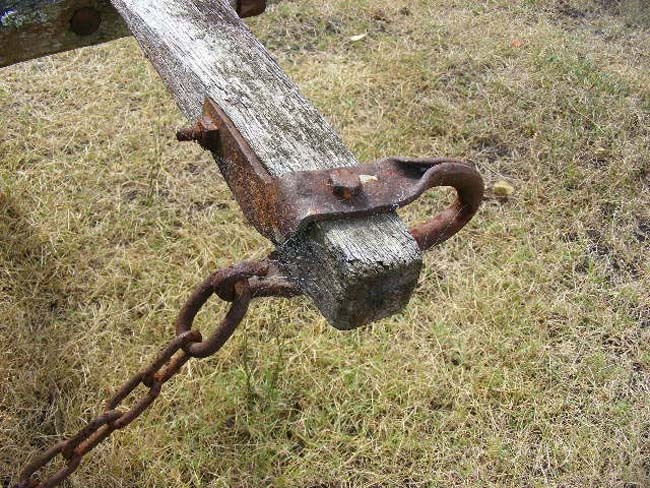 The two outer lead horses then were attached by an extra-wide double-bar of the same ilk, which hung from the underneath pole hook. 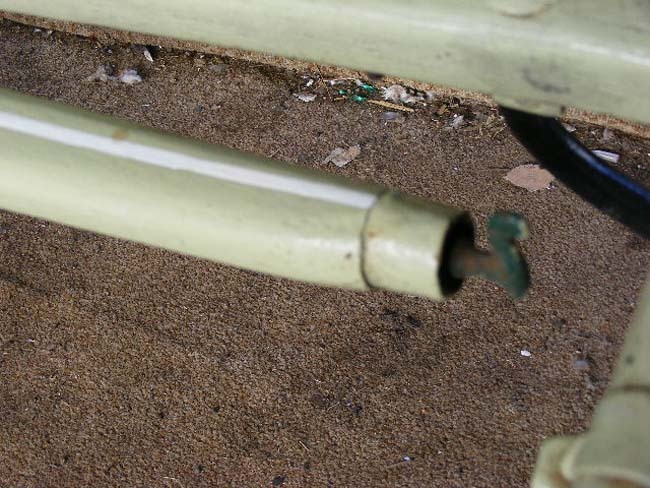 The rings on the end were designed to fit the Tee or toggle trace ends that Cobb & Co used. 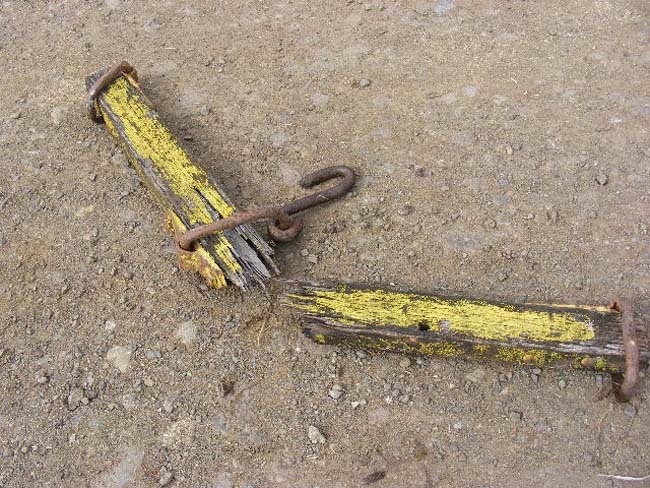 On the left is a solid steel bar most commonly used on horse trams, or in shunting trucks in the railway yards. 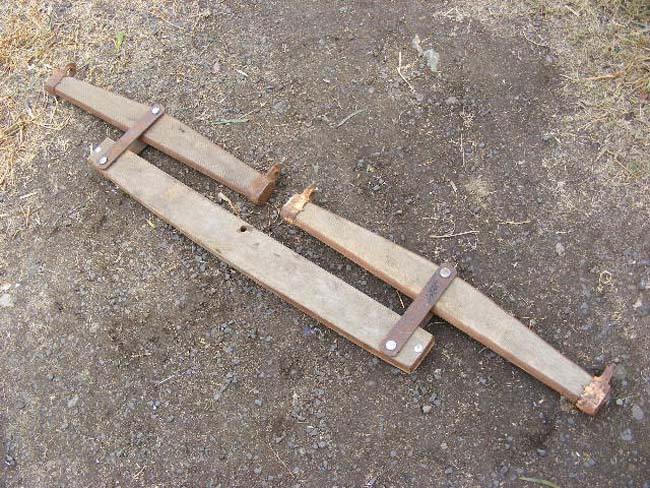 On the right is a closeup of an outrigger, fitted to a cart, used to allow a pair to be used. 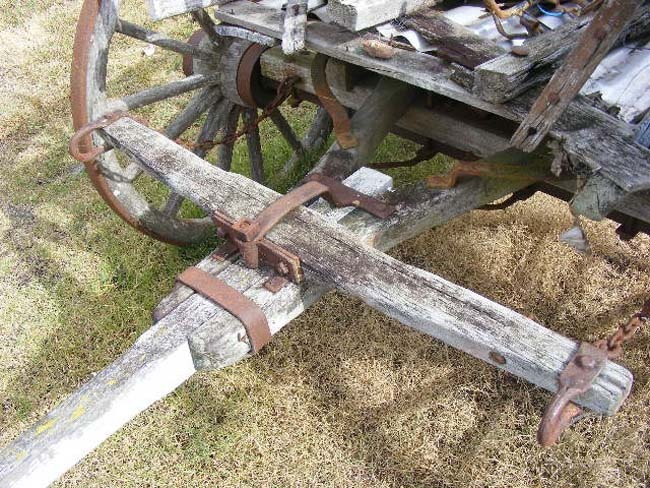 This is a standard German waggon double-bar, showing their characteristic ends. 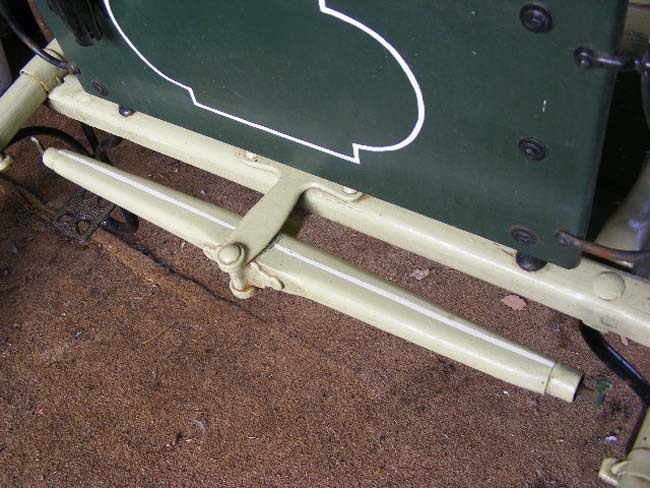 This shows the middle of two German waggon double-bars. 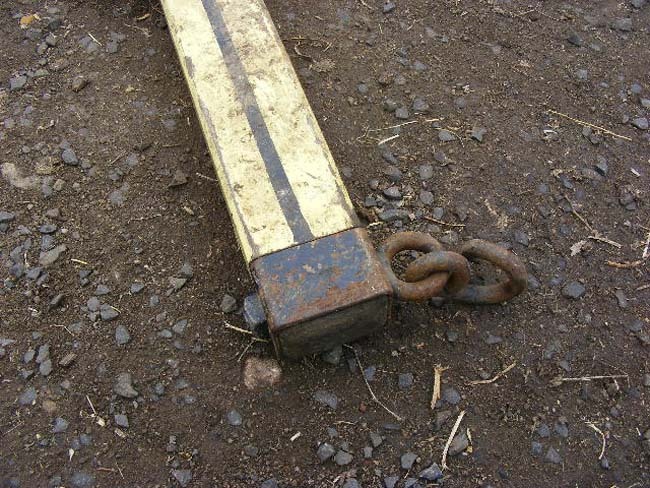 The one on the right is adjustable to give a weaker or younger horse an advantage through unequal load sharing. 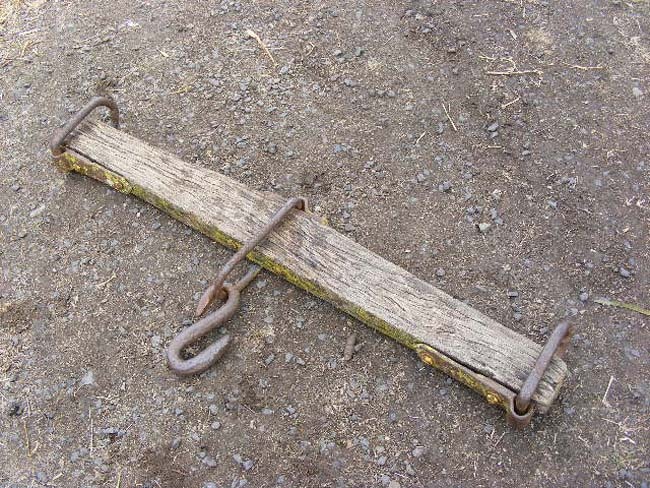 This is a fairly standard swinglebar found on sulkies- it's not really suitable for heavy horses. 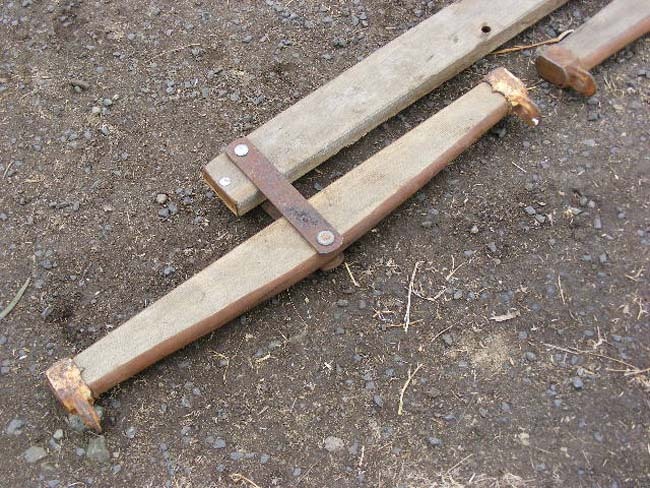 On the left is a 'beefier' swinglebar, made suitable for draught horses in a sulky. 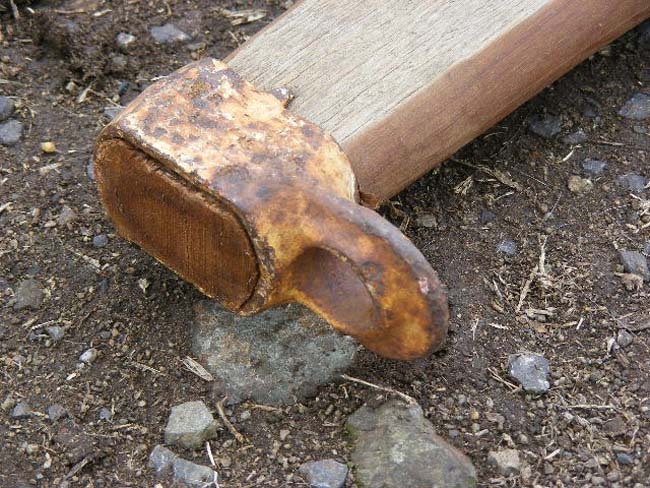 On the right is a 'neck yoke' of a typical farm style used on many 2-horse implements with a pole. 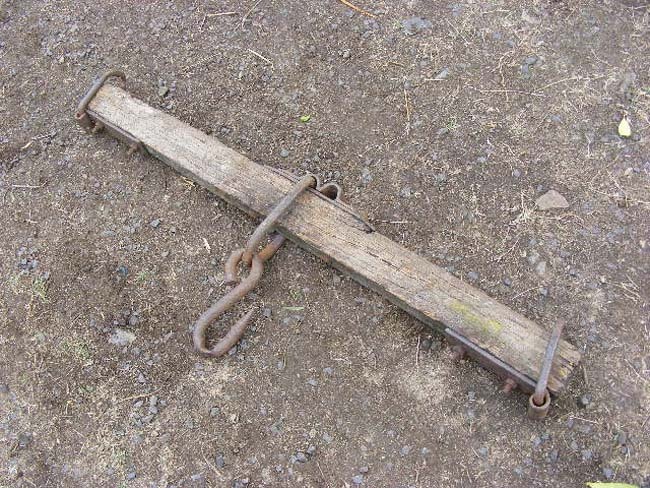 Another original old 'delivery' style of heavy horse swinglebar with hook ends. 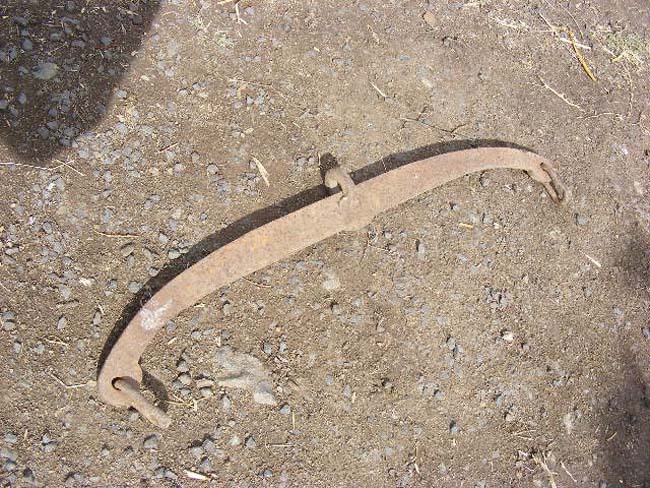 Above a grey pressed steel old army style pair of swingles and a two horse bar, showing the self-closing ends which do not need a trace-end hook. 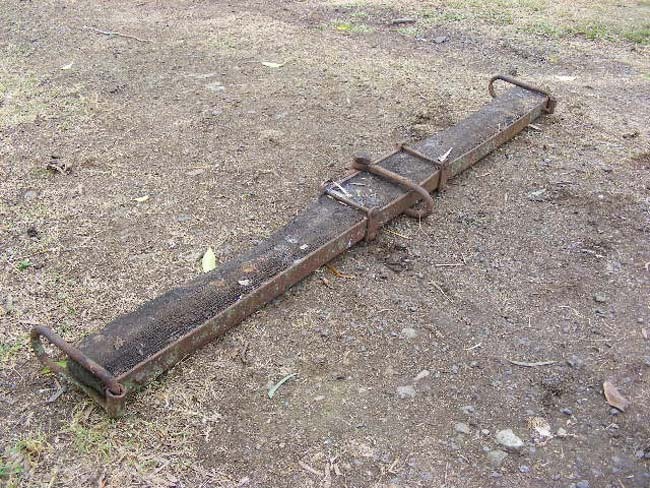 In future we will update this with more bars, but feel free to contact us if you have any queries, or click this to visit the Australian Heavy Horse Forums, and join ans ask questions there. Copyright www.aussieheavyhorses.com 2010 all rights reserved.